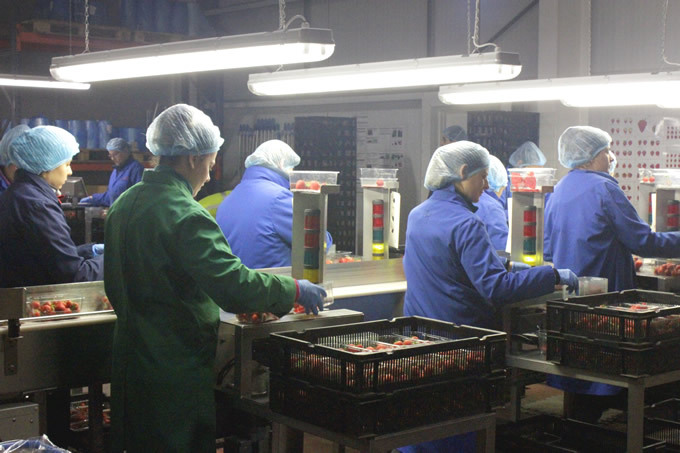 To make it easier for fruit and vegetable producers to manage their seasonal workers, Consus Fresh Solutions has developed a new Facial Recognition feature for its traceability software. Machine learning is used to identify staff and permit access, making clocking on and off a thing of the past and improving allocation of tasks and accountability. The system compares the photograph in the human resources (HR) database with that of the person trying to enter the packhouse. If recognised, the worker is allowed access and can be given a task, which is then logged on the system. Consus has developed an intelligent software-based system that reduces the burden of audits and improves productivity. By linking HR records to labour deployment the facial recognition module enables accurate costing of all products and improved traceability. “Accurate time and attendance records are vital in a packhouse. In peak season you will have an influx of temporary staff. It is not unknown for staff to clock each other into work or not to turn up at all after the first day. “Additionally if there is a product recall further up in the chain you may need to be able to identify exactly who was working on a specific product line on a particular day if later audited by a customer. Craig Bargery, Packhouse Production Manager at Pollybell Organic Farm in the east Midlands, comments that he is looking forward to being the first to deploy the system in the New Year. The Consus system is built on the Microsoft Azure platform, which supports AI applications. The Consus team has developed the facial recognition so that it needs no training to identify people; it is also consistent with BRC and reports can be generated to meet the varying needs of auditors and retailers. Consus sees potential for increasing the level of support to producers and demonstrated two new modules for the product – Facial Recognition for improved workforce management and Shelf-life Prediction – in November at Agri-Tech East's REAP conference and at The CropTec Show. Consus Fresh Solutions software reduces the burden of QA and traceability audits by capturing and analysing information about produce quality, storage conditions, labour and packaging. The company has its headquarters in Bourne, Lincolnshire and was established by Derek Thompson and Peter Taylor. Both founders have a strong track record in the fresh produce industry and have been developing the system since 2014 to help smaller fruit, vegetable and flower producers improve profitability and meet the stringent requirements of their customers, the BRC Global Standard and other regulatory systems.